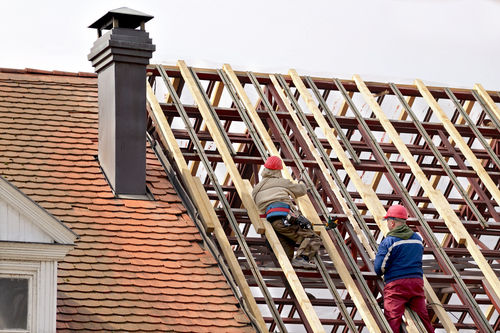 Having a structurally sound roof is crucial, but they don’t last forever. Repairs can be costly if the damage is severe, so getting a roof replacement may be a better option in some cases. According to the professionals at Marty Robbins Roofing, spring is the perfect time to get a roof replacement. Here, Dothan, AL’s go-to roofing contractors explain why this time of year is ideal for upgrading your system. Spring is the perfect time to get a roof replacement because the weather conditions are ideal. Roofing materials like tiles, shakes, and shingles perform better in the milder temperatures of the season. Also, there is no leftover snow on rooftops, so the new roof has time to settle before the harsher winter weather arrives. Though winters are usually mild throughout much of Alabama, heavy rainstorms are common, and they can cause significant damage to a roof. If there are only a few loose shingles, a roof repair on that specific area may be the best course of action. However, if the previous rainy seasons resulted in a lot of loose, broken, or missing shingles, it may be better to replace the entire system. Many neighborhoods consist of homes that were built around the same time. Since most roofs only last for about 20 to 30 years, it is not unusual for several houses in the neighborhood to need replacements around the same time. So, if several homeowners within the community are replacing their roofs, it may be a good idea to replace yours too. This spring, give your roof the care it needs by contacting the team at Marty Robbins Roofing. With more than 40 years in the industry, these professionals offer long-lasting solutions for your roof system as well as exceptional customer service. Call (334) 794-8120 today to schedule an estimate on your roof replacement. You can also visit their website to learn more about their available services, including gutter and metal roofing installation.